Many view the 80s as being one of the most fun, decadent, and glorious eras of pop music. But clearly, there were forces at play that did not want the party to go on in the 90s under the same incarnation that dominated the music scene in the 80s. The birth of grunge and the rapid bubbling up of hip-hop from the underground to the mainstream in the early 90s marked a sharp deviation from the sound that dominated the prior decade. It led to many stars from the 80s failing to extend their commercial success into the 90s. Many blame the music industry dynamics of the 90s for being the catalyst of the downward spiral of the music industry. This is obviously very debatable. What cannot be debated is the fact that unlike modern day pop, there were several genres of pop back in the 90s that could exist in tandem in the musical mainstream. There was no single sound – and in that sense, the artists of the 90s did manage to emulate the tradition of diversity in pop music that the previous decade enjoyed. One sub-genre of 90s pop music that has left an indellible stamp in music history is the Eurodance genre. Its pervasiveness on music charts globally could be felt as early as 1992. Rather unsurprisingly, a lot of this music was produced in Germany. Noteworthy names from this sphere include La Bouche, Snap, Haddaway, and of course Real McCoy. Eurodance acts enjoyed tremendous success in the western world but not very many realize that the genre had also become an integral part of the soundtrack to change in eastern countries (especially India). Many of these countries were just starting to open up to the west and the music of the west was starting to become intricately woven into the fabric of popular culture. This reality in itself should be the reason that the Eurodance genre is granted “musical milestone” status. Many of the acts in this genre had a couple of hits before they faded. Very rarely were the albums from these acts loaded with hit singles. German Eurodance act Real McCoy was different. Their 1995 album “Another night” spawned 5 hit singles all of which had become ubiquitous in the musical mainstream at the time. Furthermore, for a genre that many consider dated, the music of Real McCoy sounds as fresh today as it did twenty years ago. It is a shame the band went missing from the commercial limelight in the late 90s. Many attribute the exodus of Eurodance acts from the music scene to the demise of the genre as the decade ended. Fortunately, the Real McCoy story has not ended. 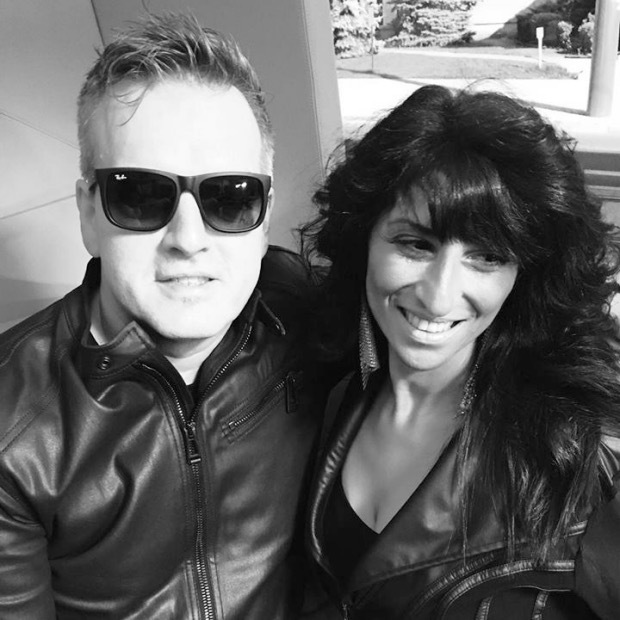 The duo featuring rapper Olaf Jeglitza and original vocalist Karin Kassar have returned to perform together at 90s musical festivals. They are back in the US performing dates at select cities. Last night (November 4, 2016), the band performed their first concert in 19 years on US soil – at the Melrose Ballroom in Long Island City (New York City area). To review this concert purely through the lens of a concert critic would be to do a disservice to the event – since in reality, the event was more of a musical experience – one that ought to be treasured. The Melrose Ballroom in Long Island City gives the appearance of a venue that functions as a nightclub as well as a location for intimate live gigs. Band members Olaf and Karin mingled with those that arrived early at the show. Their warmth, endearing humility, gratitude, and stories of their ascent, and thoughts around their impetus to return as a performing entity were the first signs of promise for a glorious evening. What many fans are unaware of is that the two ladies in the music videos were NOT the actual vocalists on all Real McCoy material prior to their release of their “One more time” album. Karin Kassar was the actual vocalist throughout. She candidly talked about the accidental journey her life took into a world that she did not necessarily identify with sonically in light of her American Soul music leanings. To the question about having alternate stand-ins for Karin in the music videos, Olaf said with a twinkle in his eye “go figure, we were on the same label as Milli Vanilli at one point in time” (a nod to the fact that actual vocalists being relegated to relative obscurity is something specific Germany record industry executives had developed a poor reputation for). The opening act for the concert was Eurodance act Fun Factory (known for hits such as “I wanna be with you” and “Celebration“). While they absolutely have to be commended for their energy on stage, there was a sense at times that they were overcompensating for a relatively obscure catalog that might have not aged nearly as well as that of Real McCoy’s. Their performance also occasionally felt like a thinly-veiled “playback performance” (i.e. lip-synched vocals) as opposed to one that featured live vocals from lead vocalist Balca Tözün. But there no way to validate this assertion. During the course of the performance, what looked like a sparsely populated venue at the beginning of the night started to fill up. It was not a packed venue by any stretch but there was enough of an audience for the high-energy performance that was to follow. The energy levels of the audience tripled as Karin and Olaf from Real McCoy took to the stage and opened with their final US Top 40 hit single “One more time“. Their live vocals over background instrumentals were consistent with what most of the audience had expected. In fact, with Karin Kassar singing live on stage, many might consider this a purer Real McCoy live experience than the ones they may have enjoyed in the band’s commercial heyday. The video backdrop served as an effective complement to the music and recreated the atmosphere in which the songs performed were meant to be experienced. The duo, with their exemplary on-stage chemistry, played to their strengths – one hit at a time. The setlist was “all killer” and “no filler”. In between songs, the charismatic Olaf Jeglitza indulged the crowd with his self-deprecating humor and an acute self-awareness around his commercial appeal relative to what it was 20 years ago. He also hinted that he was more accustomed to playing to larger crowds (the event could have been promoted far better – especially in light of the ample residual love for the band). During one of the songs, he broke into a sequence of fantastic breakdancing moves after having spent time convincing the audience that he was too old to make the moves look good. Self-deprecating to a fault maybe Olaf? Karin effortlessly delivered the infectious melodies on songs such as “Runaway“, “Love and Devotion” and “Another night” (the band’s biggest worldwide hit). It makes one wonder why she was not the face of the band in their commercial prime. It is common for bands to save their biggest hits for the end of the setlist. The duo turned this formula on its head and deviated sharply from expectations – ending the show with a remix of “Runaway” (the original was the 2nd track on the setlist). For this performance, they danced among an exhilarated audience. In essence, they turned what many bands might consider problematic (i.e. a concert that is NOT sold out) into an opportunity. In a music industry struggling with monetization and plummeting revenues, there is wisdom in investing more into creating great music experiences – especially for acts that represent musical milestones (however small their back-catalog is). To this end, Real McCoy may have truly hit on something as they went the extra mile to deliver more than what typical concert-goers expect from the standard concert format. The question remains as to what lies ahead for Real McCoy. Karin Kassar expressed her thoughts on the seemingly insurmountable challenge of creating new material that sounds current while retaining the trademark sound of a yesteryear genre and sounding like the Real McCoy that fans remember. What is evident is that there is intrinsic value in the return of Real McCoy. It will be interesting to see how the duo channelizes efforts to harness this value. I personally wish them the best and extend my hearty gratitude for a night worth remembering.